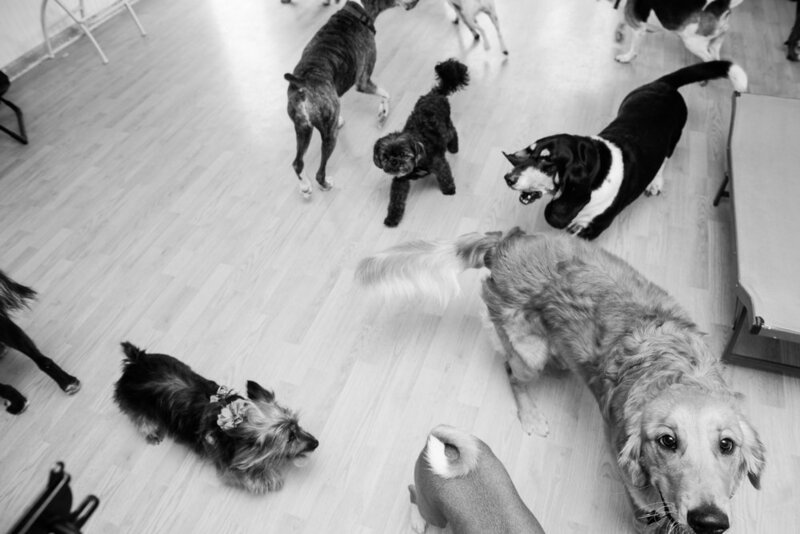 Daycare — WELCOME TO "WAGSVILLE"
During the day, your dog will enjoy playing in one of our small (toy), medium or large size playrooms that are separated based on breed and size. Bow Wags also offers a secure outside playground with separate small and large dog play areas. Our boarding cabins are custom made to allow our campers to have a sense of community, even while sleeping! No cages here at Bow Wags, our cabins are divided by picket fences that allow our campers to see and smell their playmates. Because all of our boarding guests spend the day playing in our outdoor or indoor dog park, by the end of the day, they are well exercised and ready to sleep.